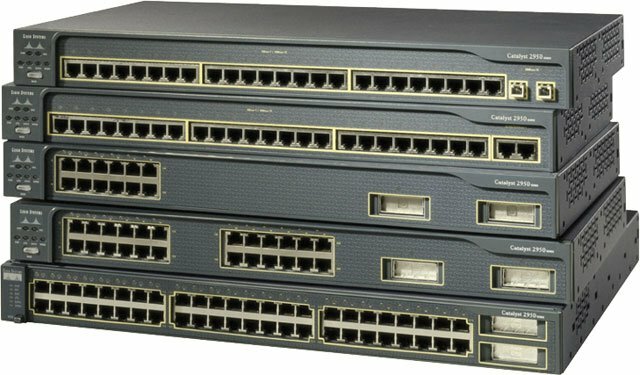 The Cisco Catalyst 2950 Series Switch has been discontinued. No direct replacement is available. The Cisco Catalyst 2950 Series Switch is a fixed-configuration, stackable standalone switch that provides wire-speed Fast Ethernet and Gigabit Ethernet connectivity. The Catalyst 2950 Series Switch offers two distinct sets of software features and a range of configurations to allow small, midsize, and enterprise branch offices and industrial environments to select the right combination for the network edge. Standard Image Software offers Cisco IOS Software functions for basic data, voice, and video services. For networks with requirements for additional security, advanced quality of service (QoS), and high availability, Enhanced Image Software delivers intelligent services such as rate limiting and security filtering for deployment at the network edge.